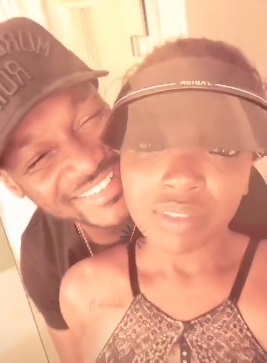 There might just be trouble in the paradise of Nigerian singer 2Baba and his wife. 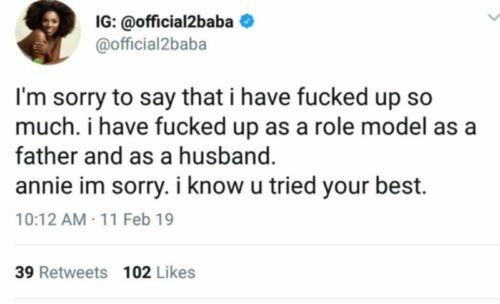 A recent tweet by the singer which is now deleted, he apologized to his wife Annie Idibia over an unknown ‘issue’. The ‘Oyi’ crooner in his tweet said he has preformed badly as a role model, father and a husband at large. 2Baba and his wife Annie Idibia got married nearly six years ago in 2013. They celebrity couple have two kids with each other, although Innocent Idibia has other kids with different baby mamas.